Grapes were sourced from the Zillah area in the Yakima Valley, Seven Hills area of Walla Walla and along the Columbia River near Pasco. These three vineyards are unique and produce some of the best Washington wines. 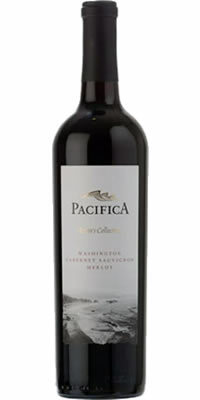 A blend of Cabernet and Merlot grapes that Washington State is so well known for. Blackberry, dark chocolate, toast and a hint of vanilla. A soft structure with firm tannins and silky smooth. A very cool season throughout the Northwest resulted in these grapes ripening slowly to about 24-25 brix. Some winemakers prefer higher sugars…but we prefer to harvest at a lower brix as the grapes retain some of the subtle flavours and allow the wine to maintain its delicate balance. Bottled with Diam cork closures and available in 6 x 750ml cases.